The College of Staten Island Library is a Federal Depository Library. WASHINGTON - The U.S. Government Publishing Office (GPO) welcomes the College of Staten Island Library into the Federal Depository Library Program (FDLP). Representative Daniel Donovan (NY-11) designated the library as a Federal depository. As a member of the FDLP, the library will provide its residents free access to Federal Government information in digital formats. The College of Staten Island Library joins 67 other Federal depository libraries in the state of New York. The Library at the College of Staten Island has been a U.S. Federal Depository since 2018. The Federal Depository Library Program (FDLP) was established by Congress to ensure that the American public has access to its Government's information. Since 1813, depository libraries have safeguarded the public's right to know by collecting, organizing, maintaining, preserving, and assisting users with information from the Federal Government. The FDLP provides Government information at no cost to designated depository libraries throughout the country and territories. These depository libraries, in turn, provide local, no-fee access to Government information in an impartial environment with professional assistance." 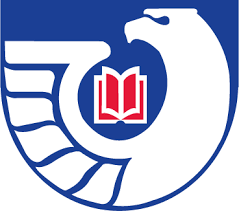 The Federal Depository Library Program provides permanent access to government publications through Federal depository libraries and the FDLP Electronic Collection. The FDLP is a program of the U.S. Government Printing Office (GPO) under the statutory authority of Title 44 of the United States Code. The mission of the United States Federal Depository Program (FDLP) is " to provide for no-fee ready and permanenet public access to Federal Government information, now and for future generations." Each day an event from American history is illustrated by digitized items from the Library of Congress American Memory historic collections. The Federal Depository Library Program was established by Congress to provide the American public with access to government information. The Federal Digital System is the GPO's & FDLP's migrated information portal that provides access to government documents online. An explanation of the Superintendent of Documents Classification System.